The 1953 movie from From Here to Eternity had a cheesy plot that didn’t deserve the expansive title but in a way, it is symbolic of our current situation – the people fiddle while the U.S. burns. No, I’m not talking about the forest fires that are burning our western states, I’m talking about the fires of totalitarian hell that are consuming our nation. That statement probably sounds a little over the top because of the curtain of normalcy that hides the perpetraitors and their actions. But breaking through that curtain is simply a matter of forensic analysis. This is the same process that police use to find the guilty parties at a crime scene. Actions reveal motivations —> reveals strategy —> reveals objective. Dissecting a global conspiracy no doubt sounds absurdist but ironically enough, the very instrument that will be the control mechanism for the totalitarian system is the same instrument that allows one to fly through history at the speed of light to retrace the steps, discern the motive and strategies revealing the objective and that object is absolute total control from here to eternity. 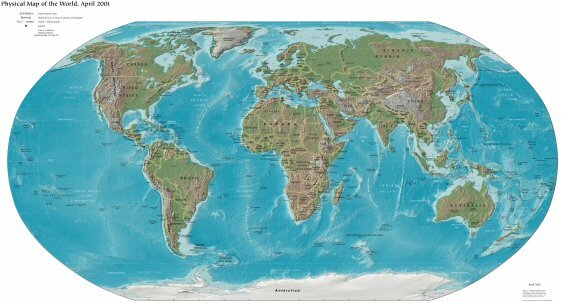 Thomas Friedman said the world is flat and actually, to get the whole world view of things, looking at a flat map is the only way to do it. Relative to Europe, it’s pretty easy to see why the earliest Explorers “discovered” the Middle East, India and eastern Africa. They established trade routes, trading companies and colonies in the locations where there were desirable natural resources and goods were to be had. In the early days, trading was a simple matter of goods for goods. A man’s word was his bond. Penalty for cheating was immediate and severe. The weapons were simple – guns, knives, cannons, fists, arrows and darts. As populations and settlements grew, so did the sophistication of the traders grow. In addition to weapons to hold territory, legal systems were developed that included, written law, courts and “enforcement officers”. Those legal systems included legal subdivisions of territory with the subdivisions defined by geographical boundaries. At the international level, until the last century, countries were the highest recognized legal territory. People say that all wars have been fought for the bankers but I believe that all wars have been fought for the Traders and merchants, the most clever of which were the British and the Dutch. And it’s true today, that at the heart of America’s troubles are the international trade agreements that have been negotiated and signed in our names without any understanding on our part of the process of negotiations, the text of the agreements and the meaning of those agreements to the future of our country. The objective of those agreements is the same as it always was – for the international traders and merchants to control everything by merging legal systems at higher and higher levels while keeping the people ignorant and the law as a remedy out of their reach. Article 1 – Section 8 of the Constitution gave Congress “the power to regulate commerce with foreign nations, and among the several states, and with the Indian tribes”. Stated simply, the foreign trade authority has been used to sell our country, our businesses, our jobs, and our lives right out from under us. 1962 was the turning point year when the sell out began. 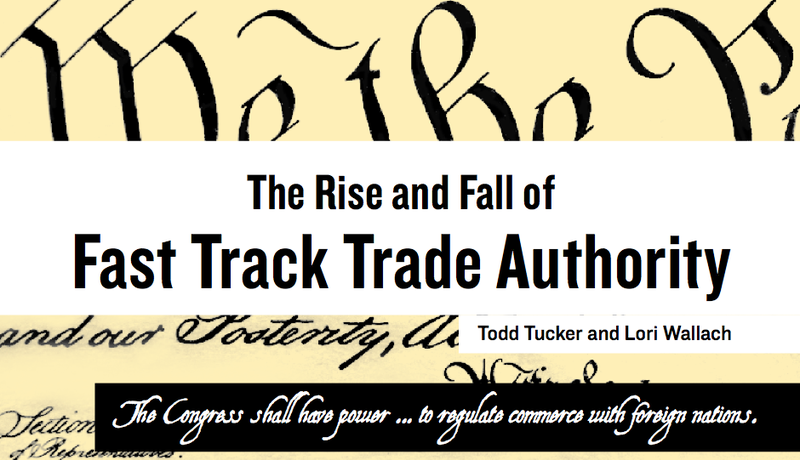 Lori Wallach of Public Citizen, probably one of the nation’s foremost experts on trade issues wrote a brief history that is available on the Citizen website. If one does not understand the evolution of foreign trade, then they understand nothing about what is really happening to our country. There is too large of a gap between “what should be” and “what is”. Before reading Wallach’s history though, in 1962, Congressman Morris Udall of Arizona wrote an enthusiastic report on the Trade Expansion Act of 1962 (TEA of 1962). Notice the trade surplus at the time this legislation was passed. At the time Udall wrote his report, the United States had a trade surplus of $5.6 billion. The CIA publishes a report titled, the World Fact Book that is available on their website. As of 2012, the United States has a trade deficit of $487 BILLION per year while China has a trade surplus of $213 BILLION per year. US trade policy took us from being the largest creditor nation to being the world’s largest debtor nation. The only thing that keeps the scam going is that the American mainstream media never talks about the real problem with our economy – the economic treason that has been carried out by our government itself. And the politicians always talk about how rich our country is… quite the joke on the American people isn’t it? Since 1919 when the League of Nations was created by the Versailles Treaty, the objective of internationalists has been the elimination of nation-states (countries) – replaced by a one-world commercial system, commercial territories (common markets) with social policy established by the United Nations socialist agencies and non-governmental organizations. Foreign trade policy has been the vehicle to make it happen and our nation is hanging on by a thread – and that thread is in reality only that it still exists in our hearts and minds. When you understand how thoroughly our nation has been sold out through trade policy, then you will understand why the State Department has really become the lead agency for American domestic policy despite all appearances to the contrary. To provide for the punishment of counterfeiting the securities and current coin of the United States; etc. "1962 was the turning point year when the sell out began."? Hahaha. Yeah sure. It sure was nice being "the largest creditor nation," wasn't it? All those perks – never mind what U.S. forces were doing to other people halfway around the world or in Latin America, to keep you in the lifestyle to which you became accustomed. Look the other way and enjoy another burger. How does it feel now to be on the other side of the ledger?